The world's most powerful particle accelerator has returned to service after a two-year maintenance hiatus. 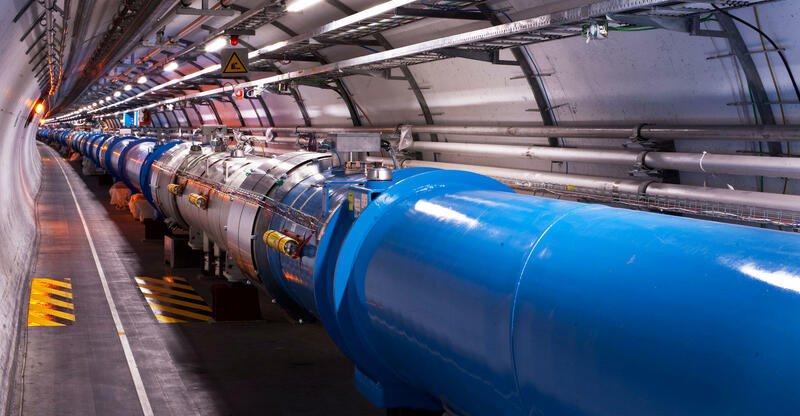 The European Organization for Nuclear Research (also known as CERN) announced that the Large Hadron Collider was functioning again as of 10:41 a.m. local time on Sunday. "The return of beams to the LHC rewards a lot of intense, hard work from many teams of people," remarked Paul Collier, Head of CERN's Beam Department. "It's very satisfying for our operators to be back in the driver's seat, with what's effectively a new accelerator to bring on-stream, carefully, step by step." Over the past two years, engineers worked to consolidate the LHC's 10,000 electrical interconnections and also installed cryogenic, vacuum and electronics system upgrades. The LHC is also now able to bunch protons closer together, resulting in more frequent collisions.